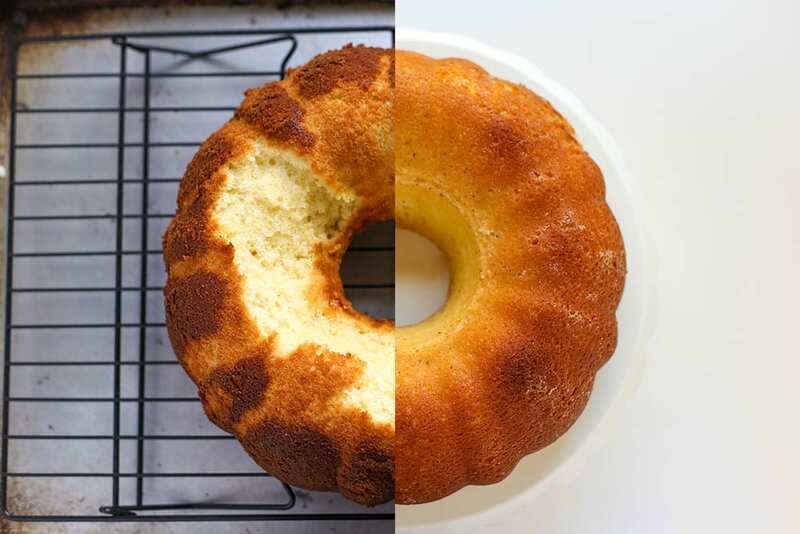 My tips and tricks for How to Prevent Bundt Cake from Sticking, because there’s nothing more frustrating than your cake getting ruined because it stuck to the pan! There’s nothing more frustrating than spending time, effort, and money on making what you hope will be a beautiful cake, only to have it stick to the pan and be completely ruined. This is such a common problem but luckily there are a few tricks that will make sticky ugly bundt cakes a thing of the past. Below I list my top tips on how to prevent bundt cake from sticking, but here’s a little disclaimer before you dive in. You have to find what works for YOU. 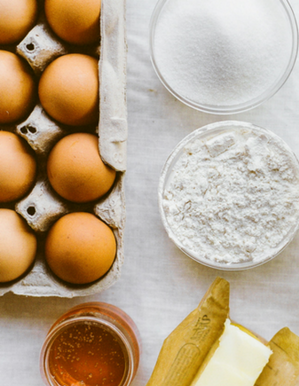 I talk about this all of the time in my online baking class The Magic of Baking. Everyone’s kitchen environment, ingredients, equipment, etc. are different. 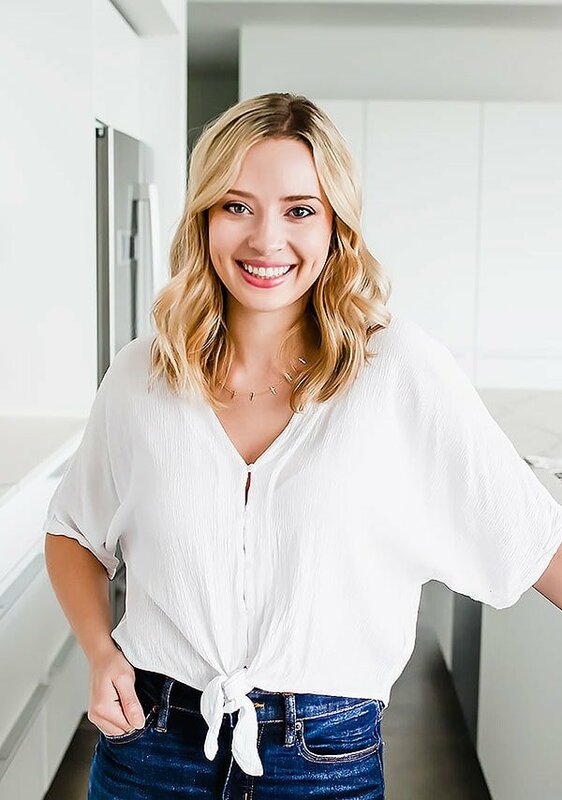 What works well in someone’s kitchen might not work as well in yours. So take what works for you and toss the rest. 1. Use a simple quality nonstick bundt pan and take proper care of it. How do you know if it’s quality? Well, online reviews are the quickest and easiest way to tell. Also, keep to pans with simple designs. The more intricate, the more likely sticking will occur. This Cuisinart pan* is my current favorite bundt pan! But more what’s just as important is how well you take care of your pan. For example, I had a bundt pan that never got sticky. Until recently. I realized it had been thrown in the dishwasher a few times and someone had used an abrasive sponge to clean it. Dishwashers, abrasive sponges and detergents, and any metal utensils will all damage the nonstick coating of your bundt pan. Over time this can degrade the integrity of this coating leading to sticky messes. The best way to care for your pan is to gently hand wash it, dry it completely, and avoid any metal utensils. 2. Use the right type of grease. I generally prefer to avoid using nonstick cooking sprays with crazy chemicals on nonstick bakeware. Over time, this can also degrade the nonstick coating. 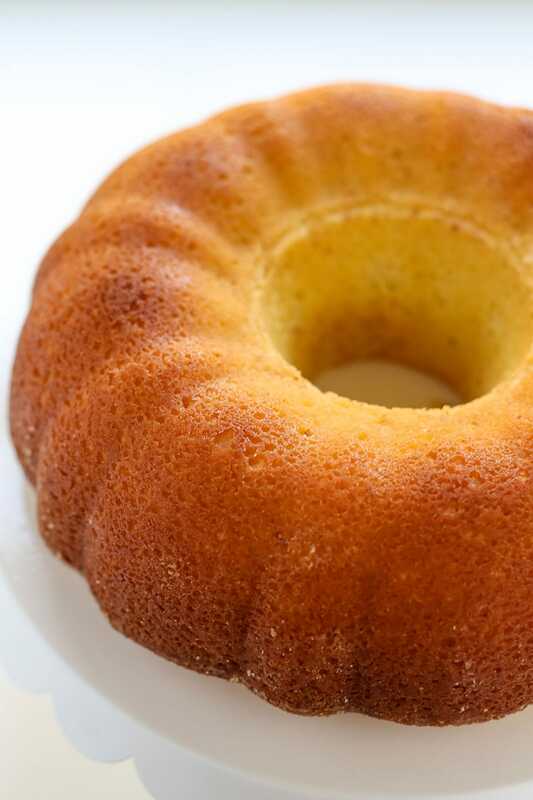 I also avoid using butter to grease bundt pans, because the milk solids can bind the cake to the pan. If you’ve used butter and it’s not caused any problems for you, then keep using it. What I find works really well is melted shortening. This is basically the only time I use shortening, funny enough. 3. Grease every nook and cranny, just before baking. The type of grease you use is important, but it can be useless if you don’t get it into every nook and cranny. Use a silicone pastry brush* to generously apply the grease, being careful to get every square centimeter, including that middle column. Do this just before you pour the batter into the pan. If you do this too soon, the grease will slide down the pan and accumulate at the bottom. 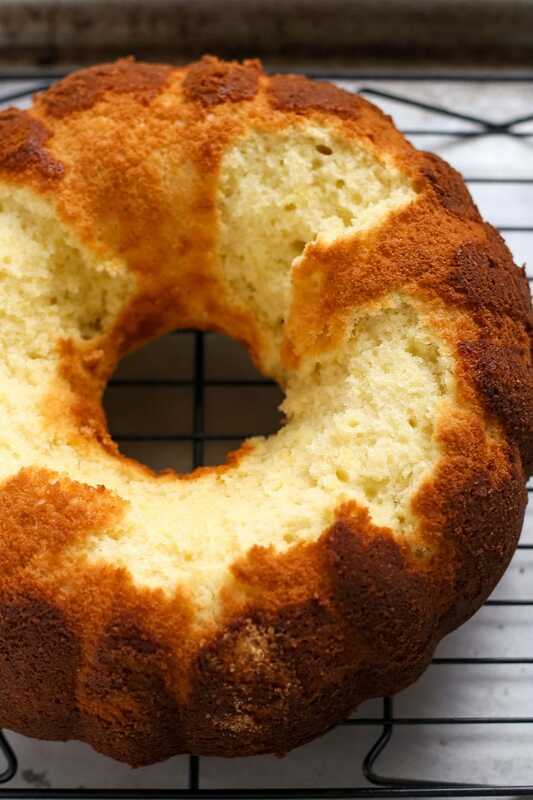 If you’ve greased and floured your bundt pans with success, keep doing it. I find this can either create more sticking, or ruin the look of the bundt pan. If you want an extra barrier to prevent sticking, nut flour (like almond flour) can actually work really well! If you’re baking a chocolate cake, try lining with cocoa powder. 5. Loosen the edges after baking. Use a flexible plastic offset spatula if possible to loosen the edges of the cake before attempting to remove it from the pan. Plastic helps prevent scratching the nonstick surface or cutting the cake. No, not the scary alternate reality from Stranger Things. Let the cake rest for 5 minutes once you remove it from the oven. Then flip the cake onto a cooling rack upside down and let it rest for about 5 minutes before you remove the pan. A little trick here is to use a grid cooling rack, not one that has big gaps. That can cause the cake to settle into the gaps and makes it harder to remove to a platter. If your cake doesn’t look like it’ll release, here’s a trick. 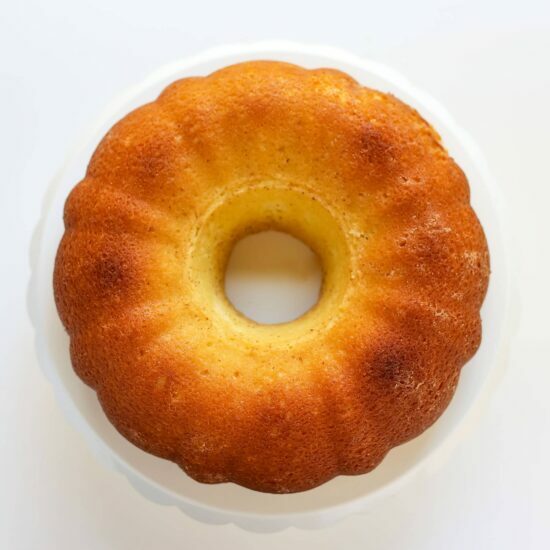 If you have a steamer, apply steam to the exterior of the pan to help loosen the cake. If you don’t, place a kitchen towel in your sink and pour boiling water over it until it’s soaked and steaming. Remove your cake from the oven and place on top of the towel and let it sit and steam for about 10 minutes. If your cake really doesn’t look like it’ll release, try freezing it until hard then invert it. 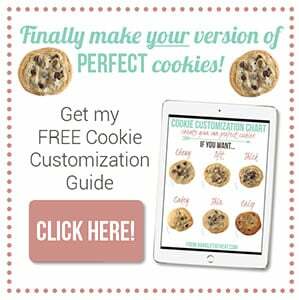 I hope you found these tips helpful. If you have a tip to add, please leave a comment below! I have left metal Bundy pans behind for silicone! Pop it out and it’s Perfect every time. great tips, thank you, that one on the left looks like one of my bundt disasters! Love your cooking tips! Thank you for the tips. As a novice cook I’ve not had a pretty cake yet. Thinking my next one will be, thanks to you! Please share – where to find a small silicone or plastic offset spatula similar to the one used in your video. Googled & have only been able to locate ones with plastic handles, but not the portion needed in the pan. Thank you! Mix to a smooth paste. Use to grease baking pan. i agree with equal parts flour, oil and solid type shortening. mix til smooth, brush on. can store leftovers for a while. smell to see if gone rancid. After 30 years of baking a rum cake in a bundt pan my cakes are slumping around the middle. I tried baking longer but outside got too brown. Help! Thanks! Over the past several years I’d been getting sloppy and my bundt cakes had been sticking. I don’t know what I did in the past to be successful, but whatever it was, I apparently wasn’t doing it anymore. I tried your suggestions, and now my gingerbread bundt cake looks nearly perfect for tomorrow’s festivities! Tessa, your tips are all spot on! However, I still was not having luck. I have tried a lot of different ways to get my bundt out in one piece, but had never heard commenter Karen D’s trick using the granulated sugar. I tried it today and it’s AMAZING! The cake came out with a slightly crusty exterior and literally thudded out of the pan onto the cake plate after the 5 minute cool down. Try it! I am baking a pound cake. I buttered my tube pan but i forgot to flour it. AM i still ok?